Alden Bell is a pseudonym of Joshua Gaylord who lives in New York. He teaches school English at an Upper East Side prep school and he teaches literature and cultural studies at the New School. 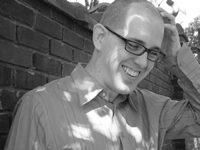 Prior to coming to New York, he grew up in Anaheim, California and graduated from Berkeley with a degree in English and a minor in creative writing. In 2000, he received his Master’s and Ph.D. in English at New York University, specializing in twentieth-century American and British literature. Learn more at Alden Bell’s website. Reapers — (2010-2012) Publisher: Zombies have infested a fallen America. A young girl named Temple is on the run. Haunted by her past and pursued by a killer, Temple is surrounded by death and danger, hoping to be set free. For twenty-five years, civilization has survived in meager enclaves, guarded against a plague of the dead. Temple wanders this blighted landscape, keeping to herself and keeping her demons inside her heart. 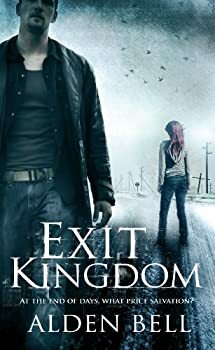 She can’t remember a time before the zombies, but she does remember an old man who took her in and the younger brother she cared for until the tragedy that set her on a personal journey toward redemption. Moving back and forth between the insulated remnants of society and the brutal frontier beyond, Temple must decide where ultimately to make a home and find the salvation she seeks. What does the United States look like 25 years after zombies have led the nation into an apocalypse? What is life like for a teenager born ten years or so after the apocalypse? What has she seen, and done, and what is the state of her soul? 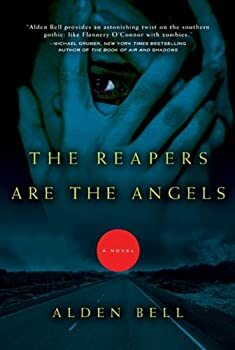 These are the questions first-time novelist Alden Bell attempts to answer in The Reapers Are the Angels, a soul-searing novel that looks at some of life’s hardest questions through the lens of violence so common and natural it isn’t even evil. Ok, first of all, what the hell is up with that cover? In what world is Moses Todd supposed to look like a refugee from a paranormal romance series airing on the CW? Not in mine, that’s for sure.